The second largest continent on the globe, Africa is by far more nuanced and diverse than many mainstream media accounts imply. 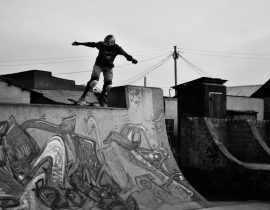 A broad array of vibrant group cultures call the continent home. Africa is a continent with immense and iconic ecological diversity as well. Over the past century or so, lots of this beautiful land have fallen under state protection in the form of national parks and game conservatories. Here are the 10 most extraordinary among them. The Serengeti is one of the most famous regions of Africa. It is a UNESCO World Heritage site, and many consider it to be the seventh wonder of the world. A lot of wildlife reside here, and the Serengeti National Park serves to protect and preserve them. One of the most exciting events that takes place here each year is the great Wildebeest migration, where six million of these animals partake in a 40 km long ritual that has existed for over a millennia. In addition to witnessing this magnificent aspect of nature, Serengeti National Park maintains the natural balance of predator and prey. You can see Lions, serval Cats, and Aardwolves on the hunt here as well. Located in North-Western Namibia, Etosha National Park has been a game reserve since 1907 in order to repopulate the region after large game animals like Elephants and Lions were hunted nearly to the point of extinction. 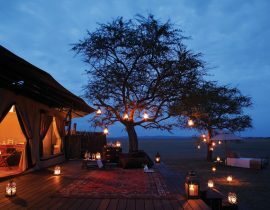 Visitors can camp here, and there are multiple extended safaris available, some lasting for up to two weeks. There is an enormous variety of species residing within the boundaries of the park, including endangered animals like the black Rhinoceros. Etosha National Park has a diverse range of landscapes including savannas and grasslands. Plus, the park encapsulates nearly all of the Etosha Pan, a dry lakebed. There are also dolomite hills, which are home to mountain Zebras. Kruger National Park in South Africa was established in 1898. The park boasts that it contains African wildlife’s ‘Big Five,’ which includes Lions, Rhinos, Elephants, Buffalos, and Leopards. Here you can even go on an elephant back safari. Like many of the national parks on our list, Kruger prides itself in its grassroots animal breeding and conservation efforts. There are also unique historical and archaeological sites within the bounds of the park where you can see things like ancient bushman rock paintings. If you aren’t able to make it to the park, you can also keep track of what’s going on through the park’s live webcams. 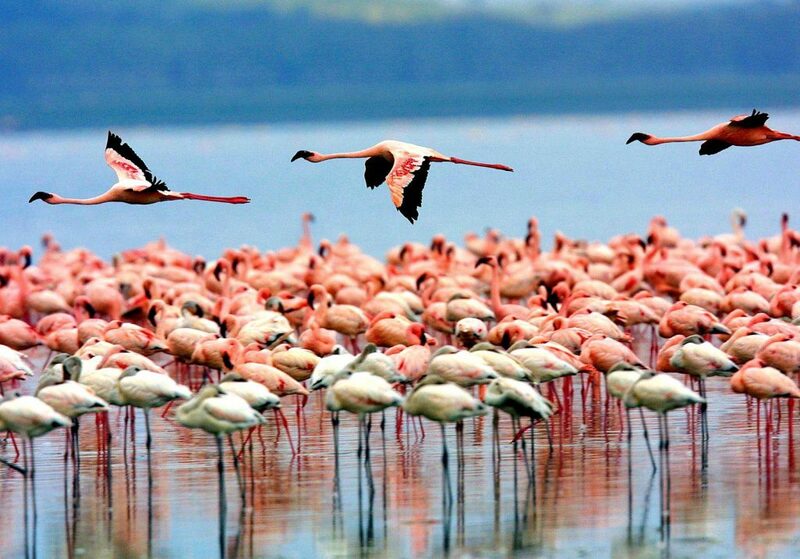 Deemed ‘the bird watcher’s paradise,’ Lake Nakuru National Park is home to a type of algae that attracts staggering numbers of pink Flamingos to feed on the algae in Lake Nakuru each year. Sometimes these numbers reach into the millions. 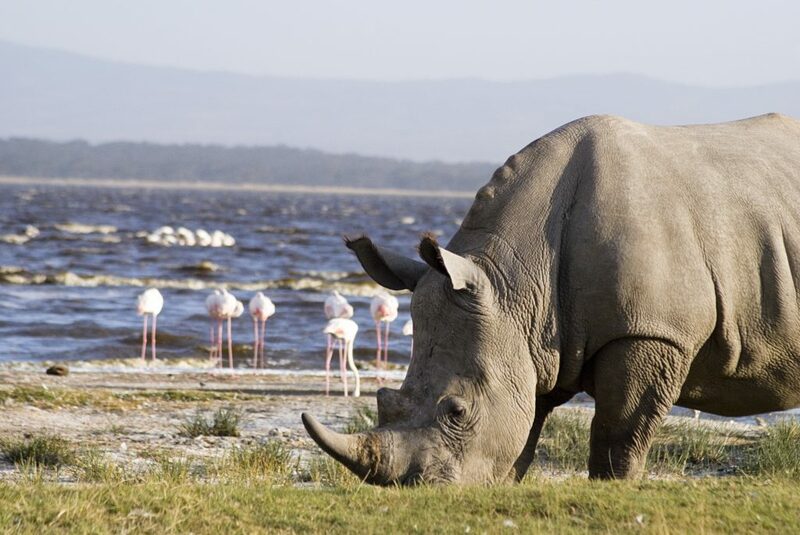 The park harbors an ecologically broad spectrum of species beyond the iconic Flamingos as well, including white Rhinos, Baboons, Warthogs, Cheetahs, Giraffes and many more. Established only about 55 years ago, the park was recently enlarged to help provide sanctuary for the rare and endangered black Rhino. Some of the other bird species worth watching out for at Lake Nakuru National park are the pied Kingfisher, African fish eagle, and the Goliath heron. The Soussusvlei clay and saltpan, Naukluft Mountains, and part of the Namib Desert are located inside the Namib-Nuakluft National Park in Namibia. The striking orange dunes are perhaps what makes this park so incredible. It is the largest national park in Africa, and one of the largest in the world. Despite the aridity of this region, plenty of interesting creatures reside here including Geckos, Snakes, rare insects, Hyenas, and Jackals. The park is located near the Atlantic coast, which allows fog to settle over the area. The fog creates enough moisture to sustain the animals native to this region. 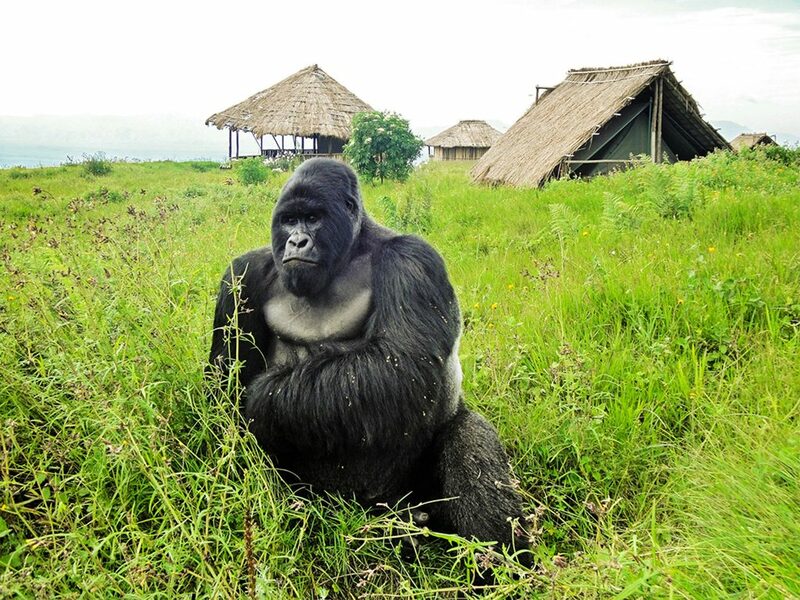 If you’re in search of biodiversity, head to Virunga National Park. It is the most biologically diverse part of the continent. You’ll find rainforests, volcanoes, mountains with glacial peeks, savannas, swamps and more. From the top of the Nyiragongo Volcano, you can see a full view of the largest volcanic lake in the world. Featured in the 2014 documentary, Virunga, the park does a lot to protect the mountain Gorillas who live here and are nearly extinct. Chimpanzees and lowland Gorillas live here as well. A dedicated group of forest rangers run the park and ward off poachers. 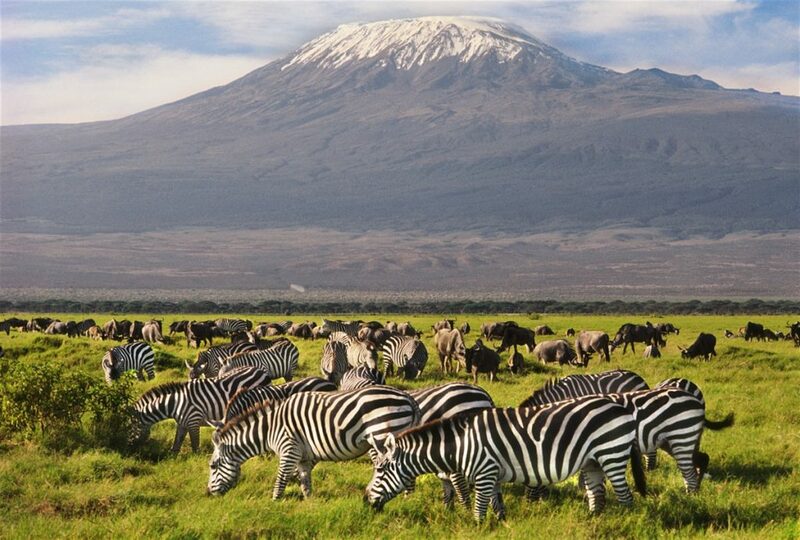 Part of the Serengeti, Ngorongoro National Park is located in Tanzania. It is largely populated by native Maasai pastoralists. 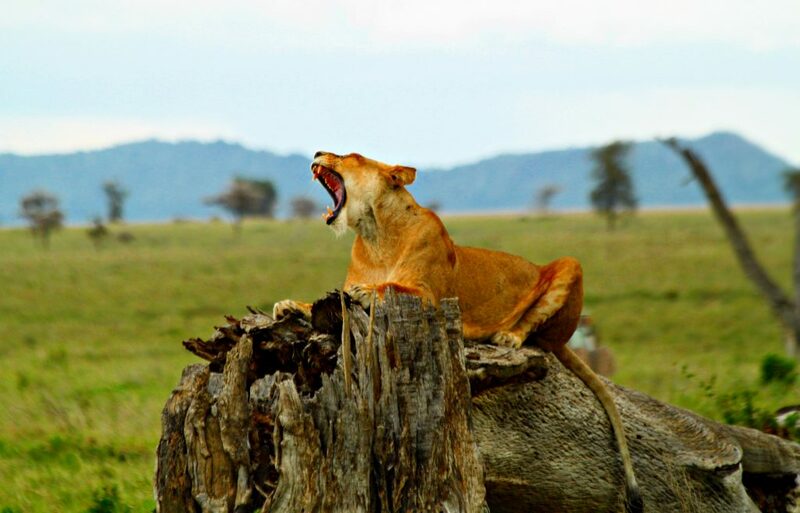 Ngorongoro means ‘gift of life’ in Maasai. The park is also the site of the Ngorongoro Crater, which was created after a large volcanic explosion. Today, none of the head administrators for the park are actually Maasai. In fact, those in charge intend to eradicate 40,000 of the 65,000 Maasai people living on this land to make it more suitable for luxury hotels that cater predominantly to foreign tourists. 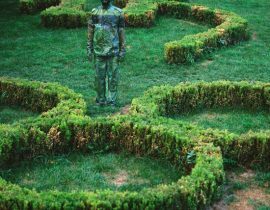 The park, though extremely beautiful in its own right, raises questions about the ethical side of park governance with regard to the locals. Amboseli National Park contains over 400 species of birds and 47 species of Raptors thanks to the presence of a large system of swamps. It is said to be one of the best places in the world for viewing birds and other wildlife. Come and marvel at parades of Elephants as they pass by against the backdrop of Mount Kilimanjaro, which makes up a large portion of the horizon. In fact, this is also one of the best places in Africa to get up close and personal with these majestic creatures. The park originally began as a reservation for the Maasai peoples, and there is legislation in the works to afford them more control over park activities and upkeep. If you’re looking for the world’s tallest waterfall, head to Hwange National Park in Zimbabwe. Here you will find the Victoria Falls. Hwange National Park was named after a celebrated leader of the local Nhanzwa tribe. 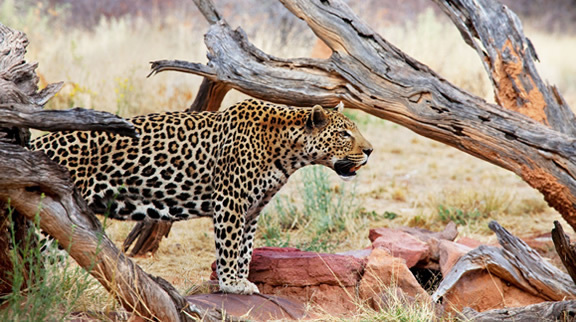 Over 500 species of animals and birds reside in this unique ecosystem of forests at the edge of the Kalahari Desert. 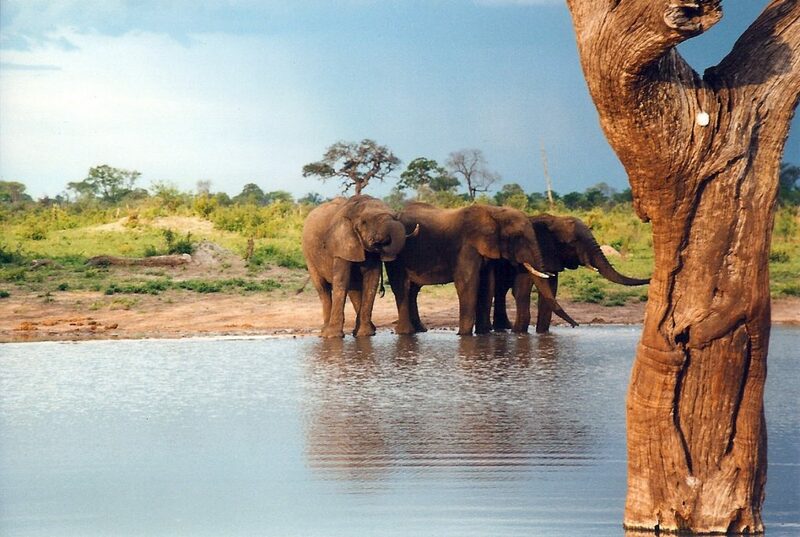 Elephants in particular tend to thrive in Hwange National Park. Unfortunately, the park has experienced some poaching issues in the last few years, including the tragic death of the famed Lion named Cecil. Still, the park authorities are doing what they can to prevent such awful acts from repeating itself on this beautiful and biologically diverse land. Lake Manyara National Park spans from the soda lake Manyara all the way to the Gregory Rift. The lake nearly disappears during the dry season, yet it makes up a large portion of the park during the rainy season. The park attracts plenty of wildlife. Like Lake Nakuru National Park, which is located in neighboring Kenya. 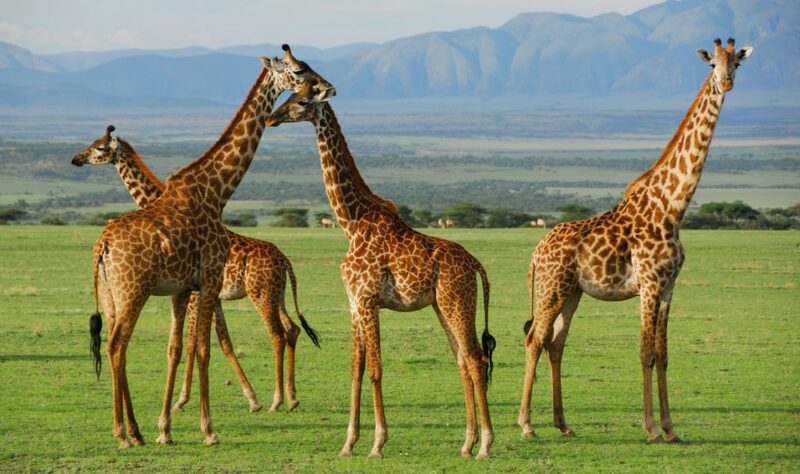 In addition, you will find Masai Lions, Tanzanian Cheetahs, Blue Monkeys, African bush Elephants, Giraffes, Hippos, Gazelles, Grant’s Zebras, African Leopards and much more at this park. The big cats of the park have been known to spend their days lounging in trees when they aren’t stalking prey. 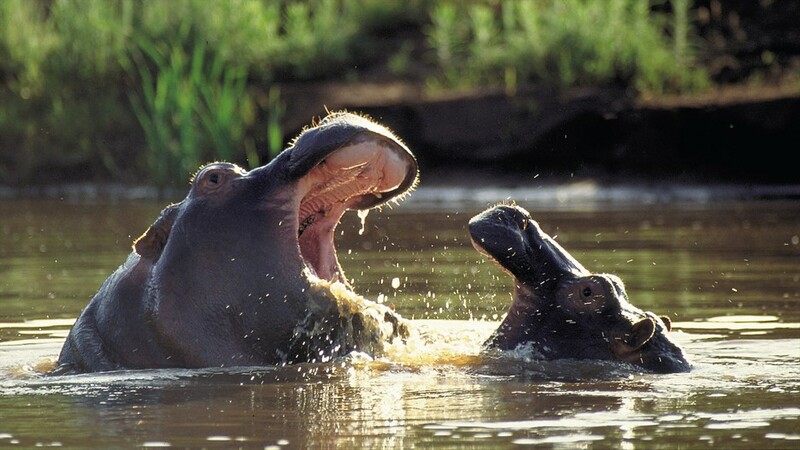 It is also possible to observe the Hippos at their favorite pond – from a safe distance, of course. 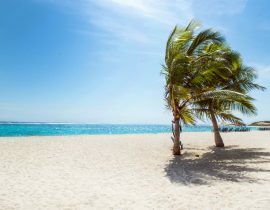 When and Where To Visit Cape Verde; The Portuguese African Island.